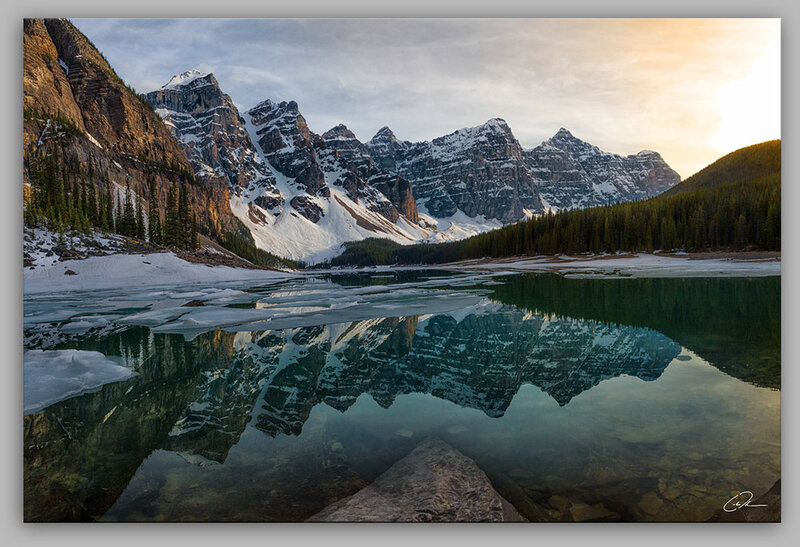 Moraine Lake in Banff National Park, pictured on the old Canadian $20 bill, may be one of the most well known and iconic images of natural Canadian beauty, and as such has become a busy tourist destination. It’s worth the trek over the rockpile to really appreciate the clear, turquoise water - still spotted with ice cover in June - and to reflect in the quiet wilderness. 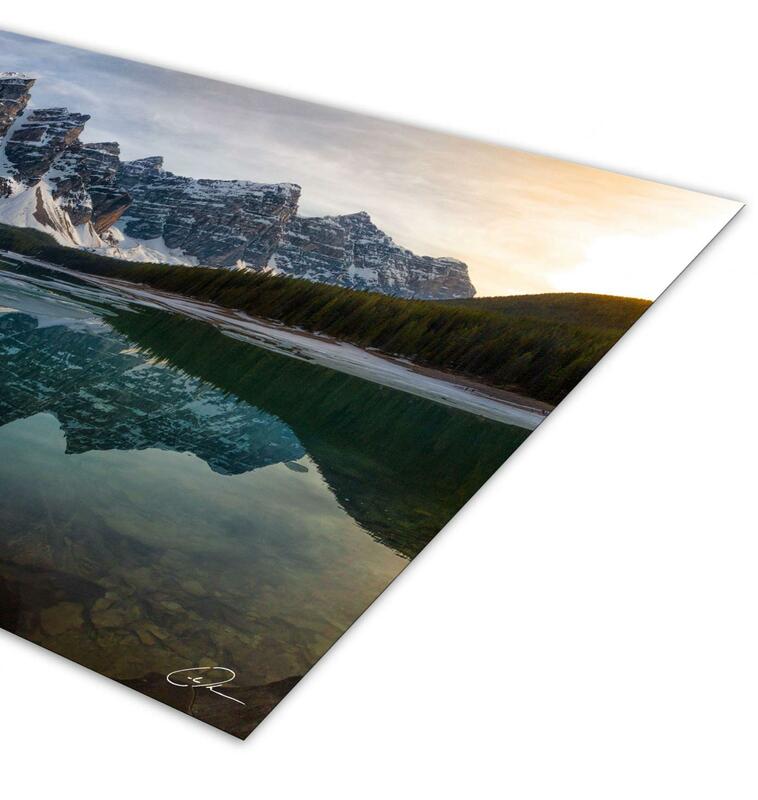 To maximize the depth of tone and colour, this fine art photo print of Moraine Lake has been giclée printed using 12 pigment inks on 300gsm weight paper. 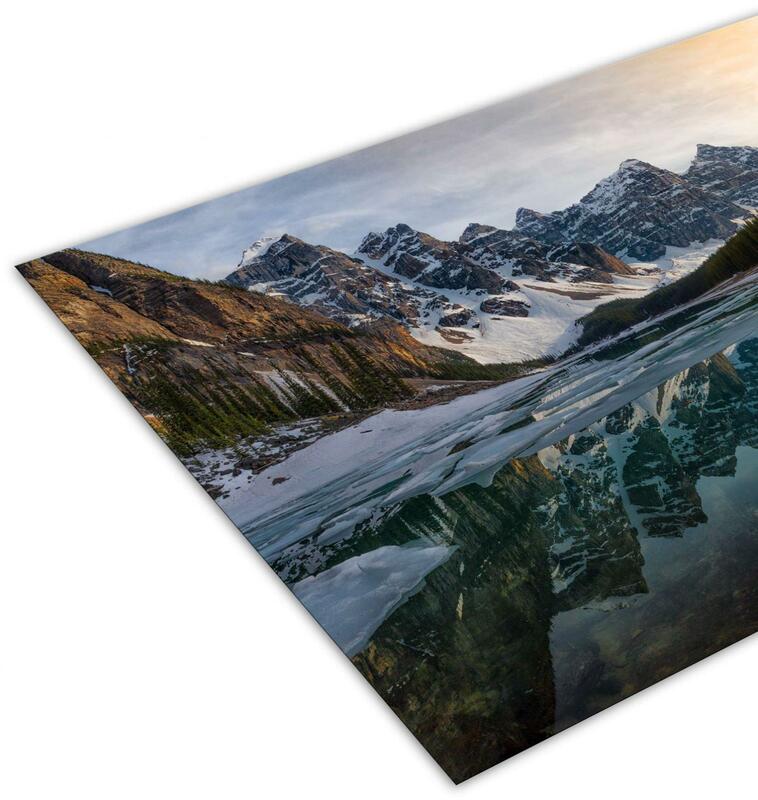 As a gallery quality archival print, this piece is made to last, without risk of deterioration over time. This print is available pre-mounted for a modern look, or un-mounted for you to complete with traditional glass and frame.